Energy Rating (Stars): 3- Spillsafe glass shelves- FamilySafe lockable compartment- Humidity controlled crisper(s)- LED lighting- External electronic controls- Eco mode to reduce energy consumption- Drinks chill timer alarm- Holiday energy efficient mode- Quick freeze function- Multi-flow air delivery system- More environmentally friendly refrigerant (R600a)- Frost free- Door alarm- Egg tray- Twist ice and serve (removable). 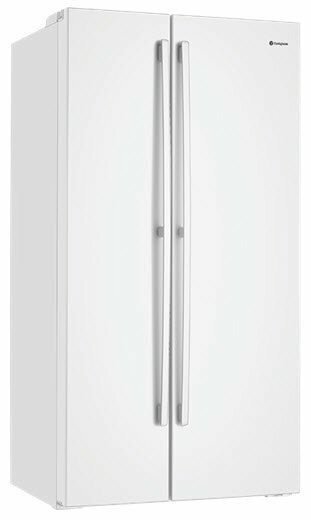 The Westinghouse WSE6200WA Refrigerator was added to the Refrigerators category in October 2016. The lowest price GetPrice has found for the Westinghouse WSE6200WA Refrigerator in Australia is $1,330.00 from Appliance Central. Other merchants who stock it are Appliance Central, David Jones , Appliances Online, ozappliances.com.au, R.T.Edwards QLD.